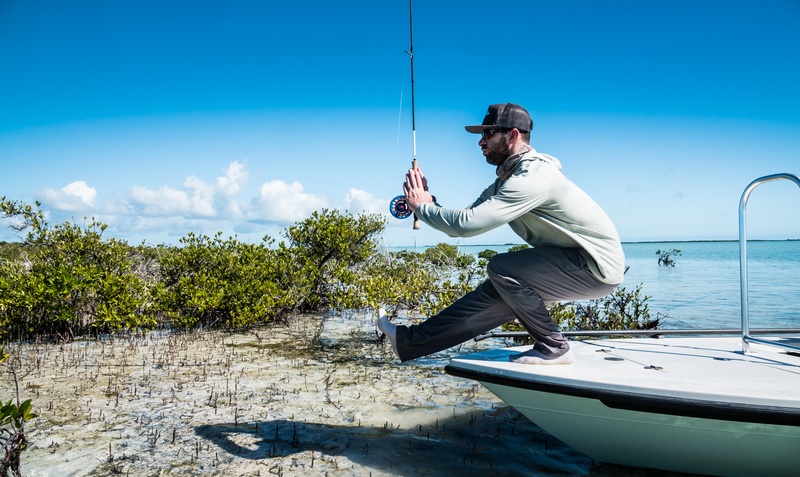 Here are two simple stretches that will help your fly casting. From time to time I see a fly angler who has trouble with their casting because their shoulders are too tight. A limited range of motion can cause all kinds of problems with your cast. It’s worth taking some time do do some simple stretches. I have a shoulder stretch I learned in martial arts training, that I do every day in the shower. It only takes a few seconds and it keeps my shoulders flexible. I have another I like to do before I hit the water. This insures that I’m in my best shape for casting. I’m expecting my audience to have a lot of fun at my expense on this one. It’s silly to stretch in front of the camera anyway and I’m pretty tubby at the minute. It’s ok, go ahead and laugh. These stretches really do make a difference and you don’t have to do them in front of the camera. Watch the video to learn two stretches that are great for fly fishers. This entry was posted in Fly Casting, Fly Fishing Tips & Technique, The Hot Ticket and tagged Here are two simple stretches that will help your fly casting. by Louis Cahill. Bookmark the permalink. …..after reading your piece on flycasting yoga exercises, i am of the opinion that you should be banned from writing any future flyfishing articles. Yoga improves strength, balance, and flexibility. These benefits make it an invaluable discipline for wade anglers, especially for old guys like me. After just a few months I can already feel the difference that I know will help in my fly fishing.